You might think that dog is man’s best friend, but we all have our days — even dogs. According to the Centers for Disease Control and Prevention (CDC), there are more than 4.5 million people who are bitten by a dog each year in the United States. Close to 1 million of these incidents require medical attention and about half of those happen to children. Of those who seek medical treatment, close to 400,000 visit the emergency room. To make matters even worse, more than 15 people die from dog bite injuries every year! There are certain laws in the state of Massachusetts that you have to follow if you’re planning on getting certain types of dogs. Our Quincy personal injury attorneys are here to make sure you have all of the proper information before bringing Sparky home. -Make sure that you can provide proof of ownership on your home or a letter from your property manager or landlord that says that you are allowed to have this kind of dog in the home. -Submit a picture of your dog that was taken no longer than a month prior. -Submit a picture of the owner of the dog that was taken no longer than a month prior. -Submit proof that the dog has completed rabies vaccinations. -Submit proof that the dog has been spayed or neutered. If you’re not sure where to license your dog, we’re going to tell you. You can visit the Animal Control Office at City Hall or the shelter in Roslindale. When bringing a new dog into your home, you want to make sure that the transition is smooth for everyone, including the dog. Spend some time with it before you decide to adopt it. Never leave small children along with a dog. You might also want to consult with a professional before choosing a breed to make sure that the dog you choose will mesh well with the members of your family. Teach your dog submissive behaviors, like having them roll over to face their belly upward. It’s also important that you’re sensitive to cues that your kid is fearful or apprehensive about your new dog. 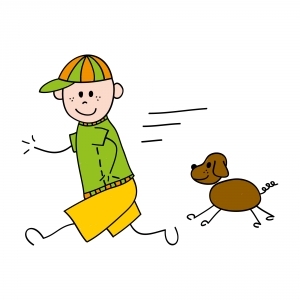 If a child seems frightened by dogs, wait before bringing a dog into your household. If you or a loved one has been injured in an accident in Massachusetts, contact the Law Offices of Jeffrey S. Glassman for a free and confidential consultation — Call 1-888-367-2900.